Honestly, that is what I believe what I really want to do right now. My father was a teacher and so was his father. He started teaching in Machang, a district in Kelantan, in the 60's. I could not remember which year but I was born there in 1965. My mother was a dental staff nurse and we lived in the quarters allocated to her. 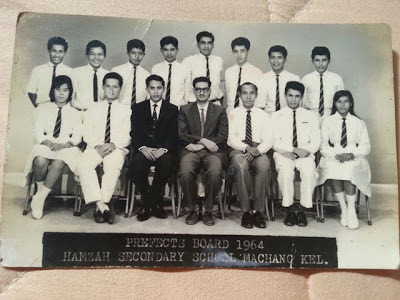 I believe my father served at Sekolah Rendah Hamzah, Machang, for more than twenty years before he was transferred back to Kota Bharu in the 80's. He last post there was the headmaster. In those days, being a headmaster is more than just that. To a certain extent, that position is looked up with respect by the society. When people ran out of cash, they will appear in front of the house with their land titles and hope my father could figure out some ways to address their problems. This was the reason why many teachers ended up in politics. When the fruit season came, there would be plenty of fruits for us to enjoy as people who appreciated what my father did would be very generous in bringing the fruits that they planted to our home. 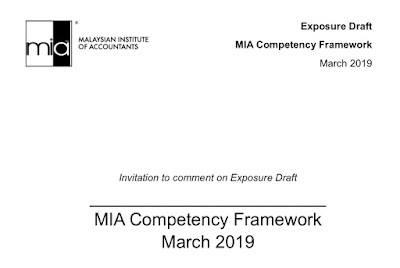 In the early days in Malaysia, many smart people did not have the opportunity to explore many opportunities as we have nowadays. I am not sure whether my father went into teaching out of love for the profession but he was offered to further his studies in England. However, given that his brother went to England and ended up marrying Auntie Jackie, my grandparents were not that keen for my father to follow the foot steps of my uncle. So, my father ended up in Penang Teachers College and I suspect there was where he met my mother who went for her training in Penang as well. I can't recall that much how my father performed as a head master but I could just mention his name, Cikgu Nik Soh, many people from Machang, especially the more senior ones, would share many nice stories about him, which makes me feel very proud. He was known to be a very strict teacher and there are many stroies of how he used the cane on his students. Surprisingly, many of them including their parents ended up thanking him, not going to the police or instituting legal actions as what many of us may do nowadays. This aspect is very important. As teachers nurture our future talents, we need the best and the brightest to be in that role. I am quite concern when observing that it may not necessarily be the case nowadays. The last thing that we want is when people go into teaching when their qualification and performance would not allow then to do other jobs. If this is happening, we will have a situation where our budding talents are brought up by people who may not experience success and high performance. This is not an issue at schools only but at universities as well. If university lecturers could not understand or appreciate what is happening in the industry, they could be teaching our future graduates their personal world views, which may not coincide with the realities out there. The closest for me to teaching is by being an adjunct professor at the Business and Accountancy School, University of Malaya. I love to share my experience with students and their lecturers. However, because universities are demanding lecturers to do more research, in areas where sometimes I myself may not appreciate, I am not able to spend time with them in as mush as what I was hoping for. Hopefully, I will be able to continue with the family tradition of being teachers. In my own ways, perhaps. Happy Teachers Day to all my teachers whom I may not able to name each and every of them. I really appreciate the knowledge, wisdom and values imparted by them and I pray that Allah will place them in the best of positions.